Through Jan. 19, residents can bring their Christmas tree to 751 Banyan Trail in Boca Raton and it will be recycled into mulch to be used at the Gumbo Limbo Nature Center. 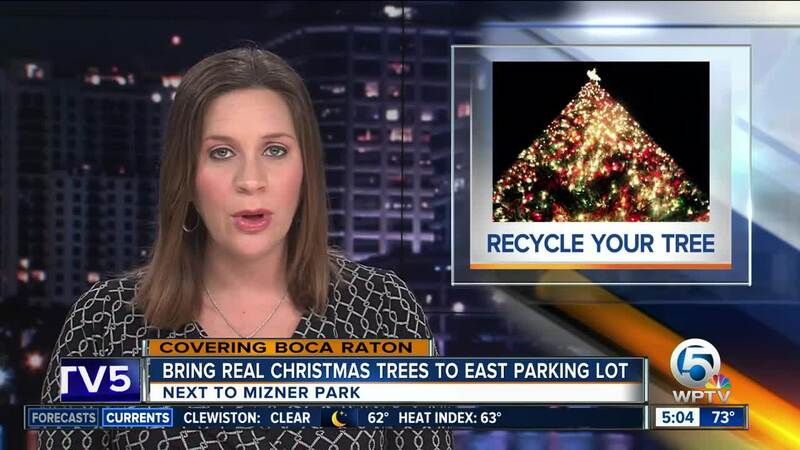 BOCA RATON, Fla. -- The city of Boca Raton is making recycling your real Christmas tree easy. Through Jan. 19, bring your clean tree (no decorations/tinsel/etc.) to 751 Banyan Trail (the east parking lot adjacent to Mizner Bark Dog Park) where they will be recycled into mulch to be used at the Gumbo Limbo Nature Center. Residents who are not able to drop trees off for recycling should remove all decorations and place trees with their regular vegetation collection. For additional information please call 561-393-7810.